Frogs are Green – A blog to bring awareness about the crisis frogs face and how you can help save them. Amphibians on my Land: Habitat Stewardship in Agricultural Landscapes – Northwest Partners in Amphibian and Reptile Conservation (NW PARC) has put together this informative outreach brochure on amphibian habitat stewardship for land owners. Amphibian Conservation Husbandry Course – Our partners at the Durrell Wildlife Conservation Trust run a five-day intensive Amphibian Conservation Husbandry course at their headquarters in Jersey, designed to expose participants to the latest theory and practice of amphibian husbandry. Participants will be equipped to establish and manage captive populations and breeding programs for some of the world’s most threatened amphibians. Amphibian Diseases – Information on diseases of amphibians with a focus on diseases of significance in wild populations. Biology Dictionary – This biology dictionary helps you learn about all sorts of biology terms, principles, and life forms. Search by individual topic using the alphabetized menu or search by field of study. Center for North American Herpetology (CNAH) Common Names VI 2009 – This is a list of standard common and current scientific names for North American amphibians, turtles, reptiles and crocodilians. AArk uses these names on our web site and in amphibian conservation needs assessments. Frog Leg – The newsletter of the Amphibian Network of South Asia and Amphibian Specialist Group, South Asia. Back issues are also available. 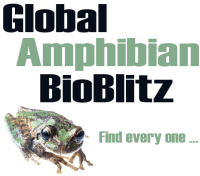 Global Amphibian BioBlitz – Let’s census the world’s amphibians to ask who’s still here and where do they persist. Contribute your photographs (locations of rare species are obscured) of amphibians along with the dates and locations where you observed them from anywhere in the world. The Learned Lizard – The Learned Lizard helps to support the world of reptiles and amphibians. This site provides up to date news from around the globe. The end goal of the Learned Lizard is to educate people about how important these creatures are to our environment. 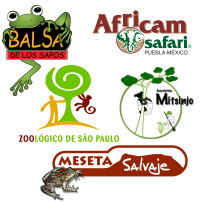 Sahonagasy.org – Sahanogasy.org is a community website for researchers, conservationists, and amateurs interested in the conservation of Madagascar’s unique amphibian fauna. Tropical Herping – Offering a variety of instructional tours aimed at discovering and documenting the diversity of reptiles and amphibians in the tropics.